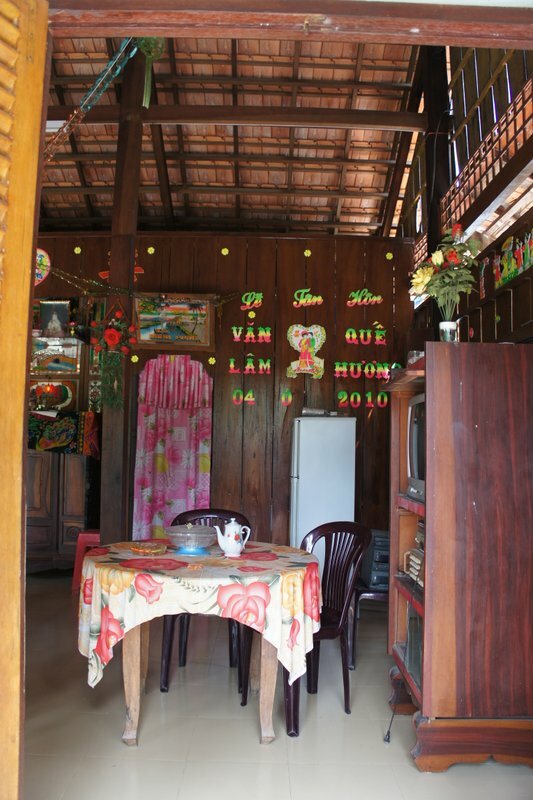 Home » Asia » A crash course in Vietnamese culture on the Mekong. Welcome to Vietnam! A country where dog is on the menu and ducks are kept as watch dogs. 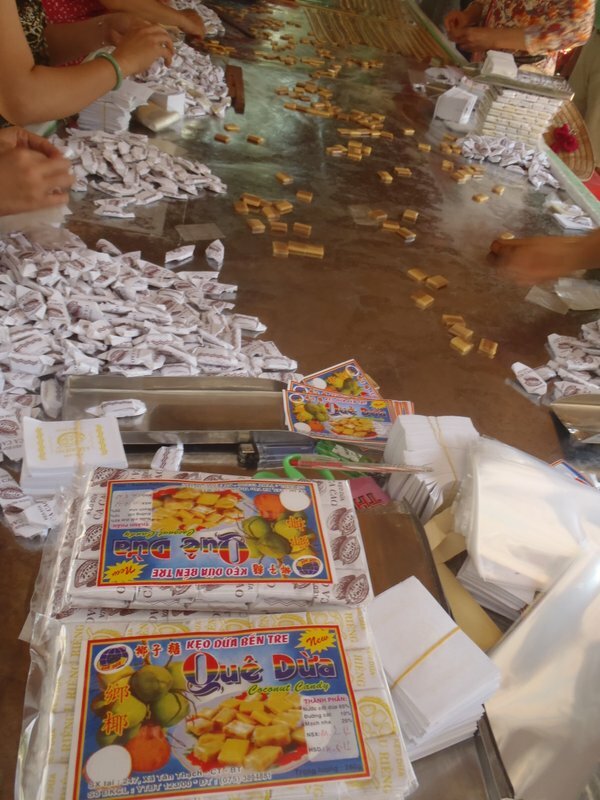 Where the burning of actual money is a custom that brings prosperity to… dead people? Where the most likely thing you’ll find at the bottom of your shot glass is not liquid courage but the beating heart of a cobra. 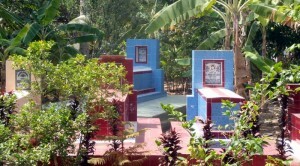 Vietnam is wacky, and these two Westerns without a clue needed help navigating through this country’s day to day crazy. 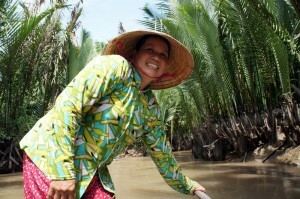 The Mekong Delta is the layman’s introductory course to rural Vietnamese life and culture. Not only is the tour dirt cheap, $7/person for 2 days and 1 night, it provided Ben and I with some much needed background information on everything Vietnamese. 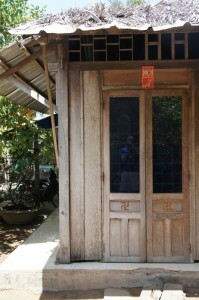 First, we visited a traditional Vietnamese home. A typical house has 3 sets of front doors! Knowing which door to use can get tricky. Here’s the guidelines: the left set is for Men only, the right leads straight to the kitchen and is used by the ladies, and the middle set is reserved for special occasions such as weddings. Oh and don’t forget to take off your shoes before entering. Even if the floor is made of dirt, take them off, it’s considered rude not to. Wedding Decorations still up from 2010, must of been one hell of a party! Men only, don't even think about it ladies! Expect to enter through the kitchen and to stay there until asked otherwise. 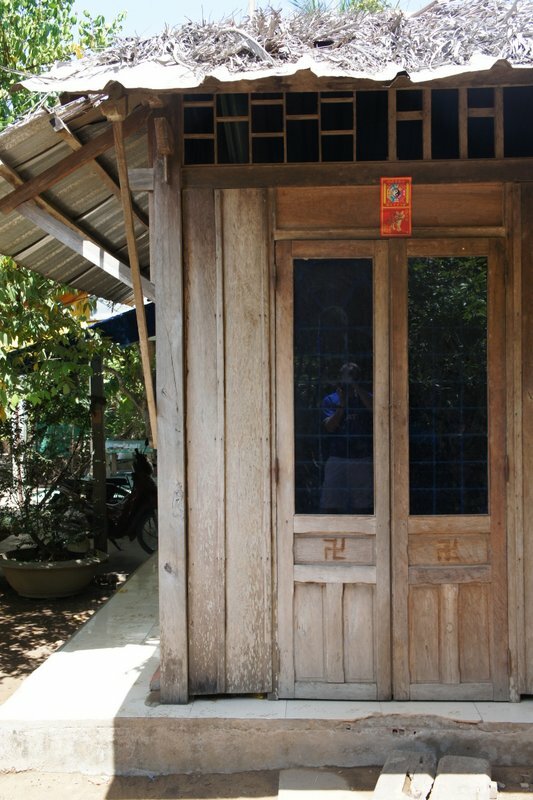 In Vietnam, the boundary between the worlds of the living and dead are more then just alittle blurry, it’s crossed. Ancestor worship and communion with the died are day to day rituals here. They believe that their died feel and enjoy the same things people in the living world do. To appease the spirits of the died not belonging to the family, there is an outside alter containing fresh food and drink. Another alter inside the home is reserved for the family’s relatives who have passed. The insider alter contains the favorite beverages and snacks of the family’s deceased. Cigarettes, beer, money, special candies and even reading material litter the inside of the alter. The Vietnamese believe reincarnation takes a minimum of 2 years. A fresh bowl of rice in front of the alter means that someone within the family has died within the last 2 years. 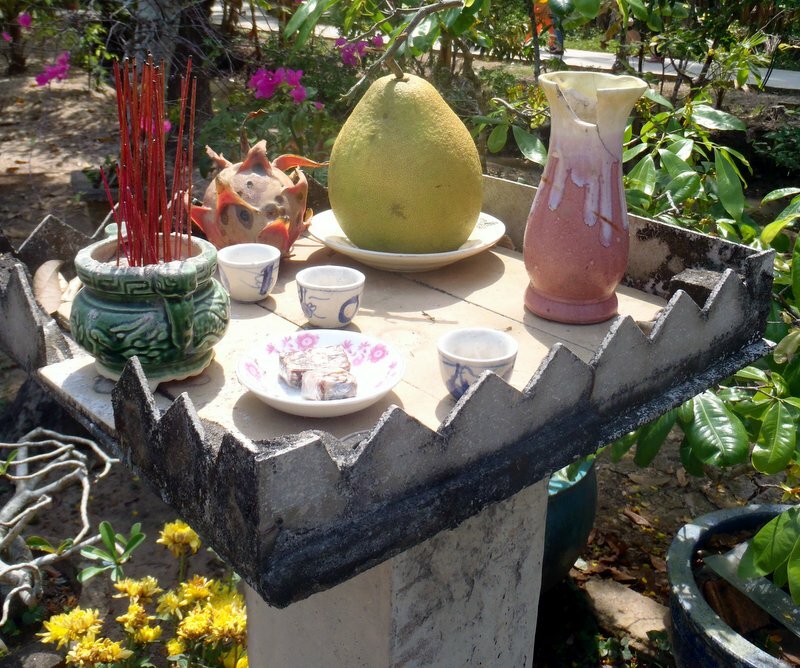 The Vietnamese believe that it is lucky to have the spirits of the dead around them, so most homes and even rice fields have grave sites. Family graves in the front yard. As we walked through the small Vietnamese farming village nestled under palm trees and sectioned off by irrigation ditches, we learned that farming here flourishes because of the nutrient rich minerals the Mekong brings to the soil. It is said that the Southern Vietnamese have an easier life then their Northern counterparts, making the lifestyle and culture more relaxed. 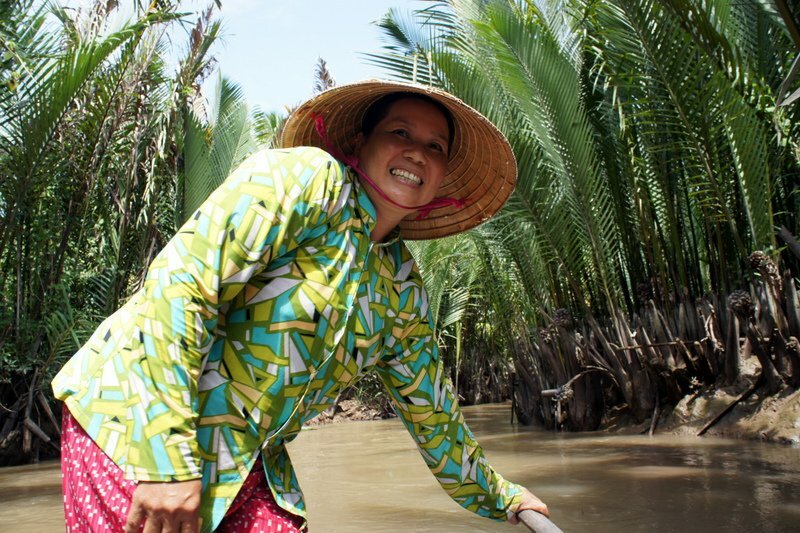 The women of the Mekong Delta are considered to be the most beautiful in all of Vietnam and the most lazy. We were invited into another Vietnamese farmer’s home, where they served us tea and fruit. It is considered good manners in Vietnam for the youngest at the table to serve the others in descending order by age. Real life implication of this tradition: Ben would have to serve me each time we sat down to eat. 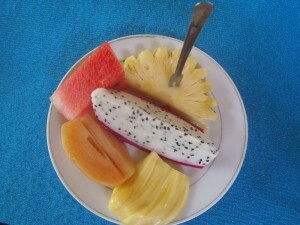 The white slice with the tiny seeds is dragon fruit, a very popular fruit in Asia. It has the texture of kiwi. Taking on a hobby outside of farming, the family took stage to perform for us, obviously grooming themselves as the Vietnamese version of the Partridge family. Unfortunately, traditional Vietnamese music is an acquired taste and for untrained ears they sounded like a thousand dying cats in heat. 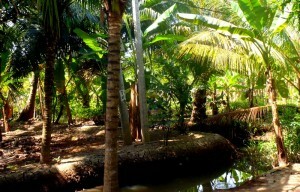 Next, we took a paddle boat down one of the Mekong’s tributaries that was lined with coconut trees. 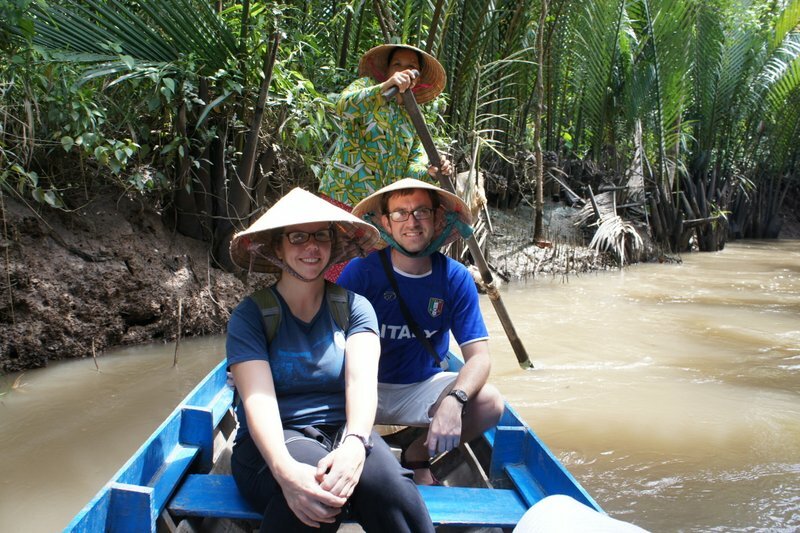 We got to wear traditional Vietnamese rice paddy hats. This was a scenic experience that I didn’t want to end. Best paddle boat driver ever! Since 16 is considered to be the most beautiful age for Vietnamese girls, there are exactly 16 rings in a Vietnamese hat. When buying rice, the rings can be used as a unit of measure. Ben and I sporting the rice paddy hats. 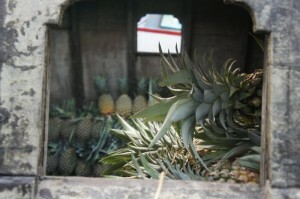 Afterwards, we visited an outdoor factory that produced pineapple candy, liquor, and honey. 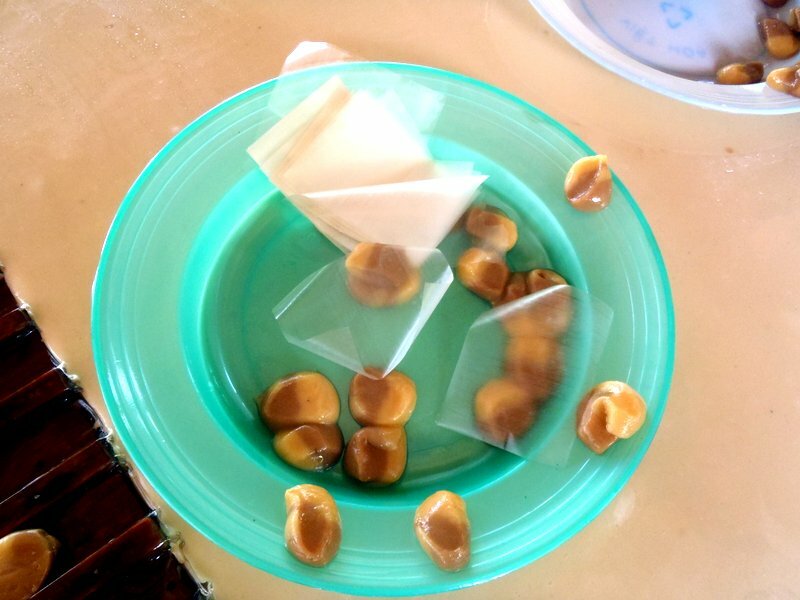 Hot pinapple candy with rice paper, it all melts in your mouth instantly. I really enjoyed the way they advertised their products. 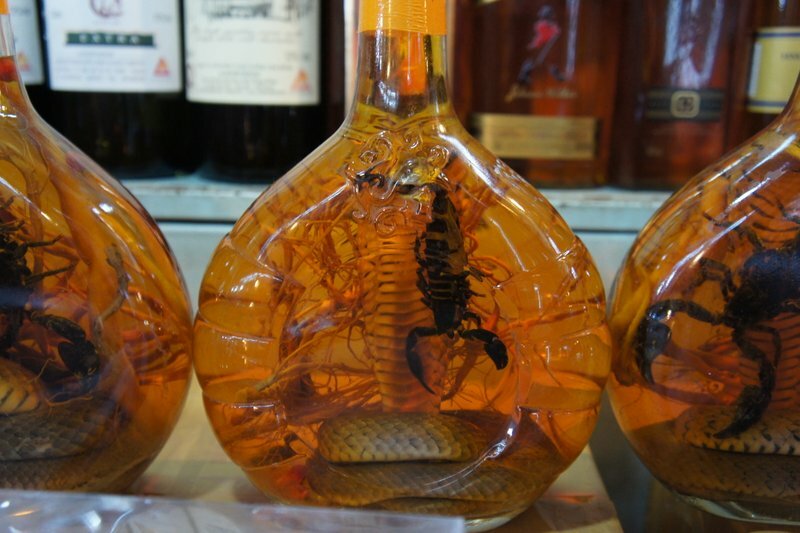 Selling bottles of liquor with scorpions and snakes? Bring out a giant python. 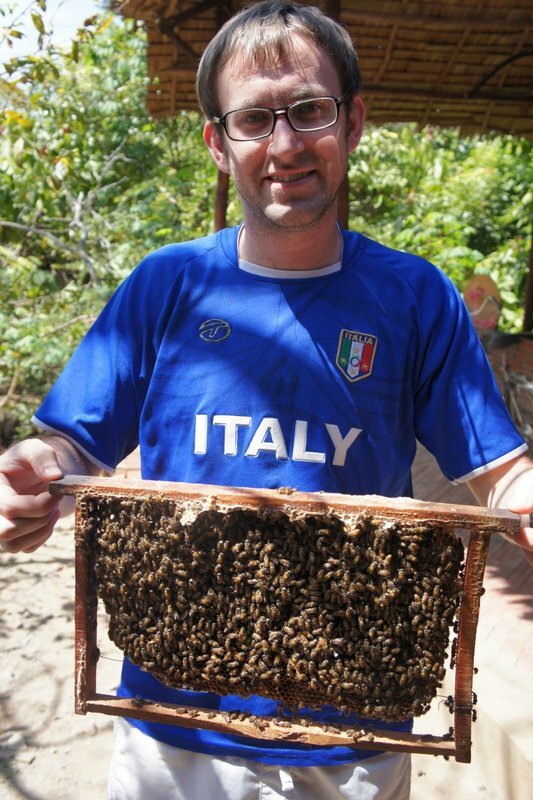 Selling honey? Have the customer hold a few hundred bees. 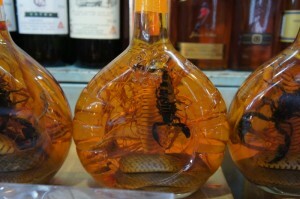 liquor with a snake and scorpion inside. It's suppose to be very good for the male's libito. 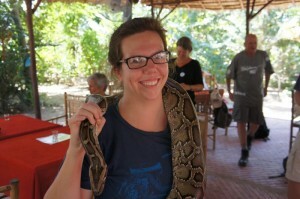 Me and the Python. 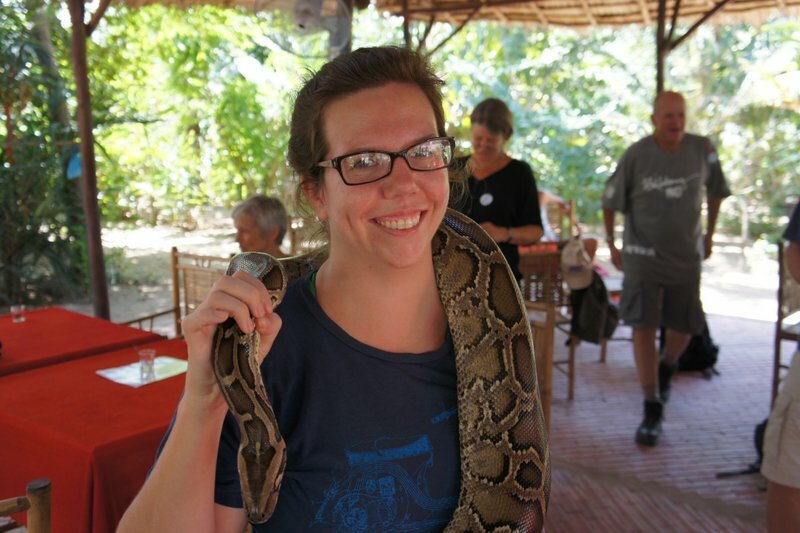 I have an affinity for snakes. Triggering fear prompts people to buy, Vietnamese Marketing and Advertising 101. Look Mom, no head to toe productive gear. The next morning we visited the Mekong Delta’s floating market. This is where the locals buy all their yummy produce. We stared in awe as boats full of pineapples and dragon fruit floated pass us. Could you imagine getting into your paddle boat and buying fresh fruits and veg like this every morning? 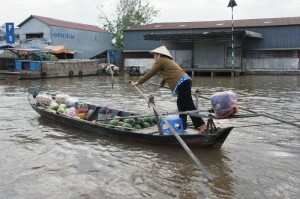 Paddling her way to market! This is not your mother's grocery shopping. 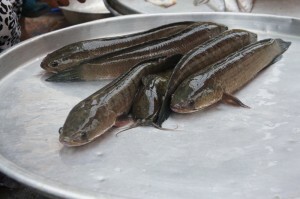 We also stopped at an amazing market in town with live fish, crawling snails, and jumping frogs. These fish were slipping and sliding everywhere!!! Finally we ended the tour with lunch. Dog wasn’t on the menu this time but rat was. Rat is ok to eat on the Delta because the rats here eat mostly rice out on the paddy so they are clean and nutritious. Just steer clear of ordering rat in the city, or better yet just don’t order rat. I love the gravestones in the front yard. You have to be a great real estate agent to convince the next buyer of the home to keep that. Is the buried dead great grandma included with the property? oh, and I saw a wedding one morning when i went for a bike ride. The weddings go for 3 days nonstop. I rode by at 6am and there were probably 50 people partying outside. Was crazy. yeah, there sure seem to be a lot of rules. and they let you know when you’ve broken one. once leah put her foot on a ledge to tie her shoe… we almost got deported.